In an interview with Restaurant India, Michelin-Star Chef Alfred Prasad talks about the elements that restaurants in India need to implement to cater to the changing market needs. Michelin-Star Chef Alfred Prasad is credited with elevating the reputation of British Indian food with his delicate treatment of fresh, seasonal produce. Becoming the youngest Indian chef to receive a Michelin star at the age of 29, he retained this accolade at Tamarind. Alfred Prasad is highly appreciated in the industry for his original take on traditional cuisines of India. 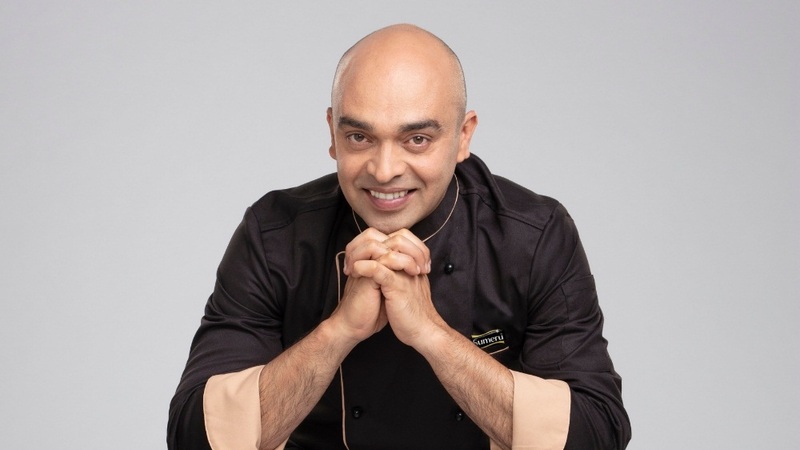 In an interview with Restaurant India, Chef Alfred Prasad talks about the elements that restaurants in India need to implement to cater to the changing market needs. The choice to enter the hospitality industry is something I counted on completely by myself. It was my mother who had filled up the form of the hotel school on my behalf, without my knowledge. The joy of becoming a chef came up pretty early while I was still studying in college. The kitchen at home was a happy place to be. I was naturally grown to cooking. I was one of the first to be appointed at the ITC Sheraton Chennai for an executive training program which jumpstarted my career. I moved to the UK in 2001, the Indian food was more primitive in the UK then. The majority of the restaurants were owned by the Bangladeshi entrepreneurs who were very much familiar with the British palate. I took up the job of sous chef at Tamarind in London’s Mayfair. I brought the idea of serving the authentic Indian food there. In 2002, I was awarded a Michelin star; At 29, I became the youngest Indian to receive a Michelin star. It’s one of the biggest achievements a chef can have. I wanted to tell people in the UK that Indian food is just not the tandoori chicken or murg makhni, there is a lot more. And I am pleased that people have now discovered regional cuisines. We need to pick three things for the Indian restaurants to look at in order to be treated on par with that of the world. As a chef, I would probably start with the kitchen. A big reason why people eat out at the restaurants is - the food. Good, honest cooking, chef’s individualistic flair, having the freedom to put your own imprint - are the only things that will bring the pride. It’s much more important for chefs to bring their own style and legacy, and believe in that. If you, as a chef, believe in your creations, the customers will buy it too. Another is Supply Chain. Mostly, the supply chain at restaurants is poor. The level of pride at which an ingredient is treated and cared for while growing at the farms has not been achieved yet in our country. As a chef or hotelier, I would like to see more of the organic farm. If consumers start paying the heed from where the ingredients come from it will make a difference for the businesses. Thirdly, focus on the customer experience. We, blinker, a little too much on the ambience, the uniform of the waiting staff, or the aroma and décor of the restaurant. Instead, focus on providing a good experience to your customers. That’s probably why the customers go back and never return. To give a good experience to your customers, you must know which table they would like or what drink you could suggest for them. You might not be able to remember everything but some, in particular, matters. If you know their likes and dislikes, you will create loyal customers for your brand. The voice, control and customer engagement techniques, all are important for a brand's longevity. There are quite a few restaurants in India which we accolade, but the fact is the Michelin is limited by the resources; if they have to reach to the country such as India, they will probably need around 100 such inspectors. India is a very important player in the global space. Rightfully, that applies to our cuisines as well. The Indian food is an amalgamation of several cuisines, cultures, religions and ways of life – there’s so much depth to the cuisines we serve. A lot of international diners will wait to have the Indian cuisines, which certainly didn’t happen two decades back. It’s the fact, once anyone knows the depth of the Indian cuisines they get automatically drawn towards them. The Indian cuisines have the capacity to hook you on its flavours and make you an addict. Indian foods and spices have the properties to release endorphins and the feel-good hormones. There is a long way to go but we are certainly on the right track. I hope Michelin considers India, but my gut feeling is they will be only able to do city-wise and not the country as a whole. Growing in the Indian sub-continent, the poverty is all around you. As a chef, we are on the side where we see excess food wastage is common - be it banquets or restaurants. As chefs, we have to be ambassadors of this aspect. We have to be more active on raising awareness of food wastage. I started following a charity based in London; their motto read ‘food wastage and food poverty shouldn’t coexist’ and that really struck a chord. I was invited by Akshay Patra as their ambassador for the UK; the organization provides almost two million school kids with a nutritious meal at lunchtime at schools. It is phenomenal. I go for the fundraising events of Akshay Patra and talk to my chef community about the impact. The molecular gastronomy has had its time in the limelight. Talking about the plating trends in 2019, perhaps at restaurants in India and abroad, the more focus will be on the textures that complement the dishes. For the longest time, the restaurants had lacked in presentations. The traditional food concept was based more on taste, flavour, aroma and it was less about making the food look beautiful, presentation-wise. But, certainly, I think chefs who are looking to challenge that perception would look to take Indian dishes out of their bowls and contemplate the addition of texture or colours. More importance will be given to the ingredients. The ingredients have to be the star of the plate. Using ingredients that complement the dish but add colour and texture and wealth, without necessarily going down the route of molecular forms will be another trend. The plating styles will see a balance between making food look good without taking away the authenticity. I see more coming in the supply chain whether it is micro greens or edible flowers. Some cities in India have little more access to exotic ingredients. I hope it gets more mainstream. There has been a shift towards the market segment in Indian cuisines. The fun element that restaurants create will be translated more onto the plate. The food served could have the chef’s signature imprinted onto the dish.